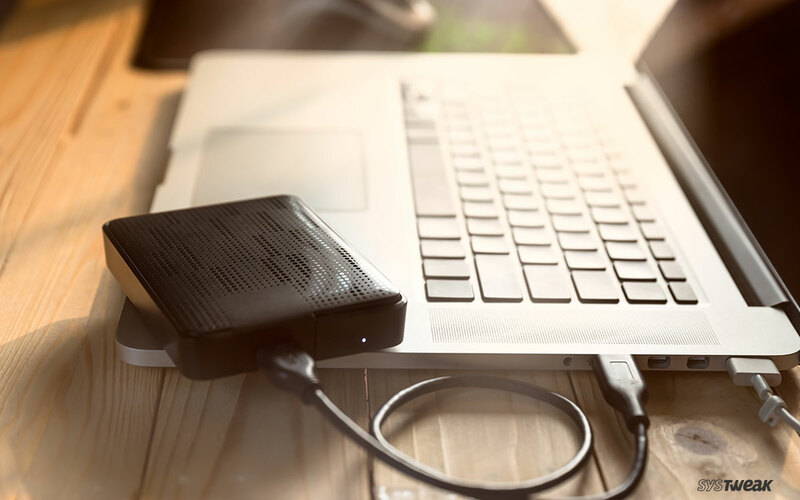 Portable hard drives are a savior when your machine’s storage is overstuffed. These drives have become a necessity rather a luxury. These days, you don’t have to buy those bulky computers with multi terabytes of storage, you can get an external hard disk instead. Though there are thousands of brands and manufacturers; every brand has something different to offer. Today, we’re going to enlist 5 best portable hard drives of 2019 for you to choose from. Seagate is probably the first name you recall when hear about hard drives. Well, it earned the same respect in larger storage device as Innov8. It’s a 3.5inches desk hard drive but just requires the USB C port to get the power. It paves the way for you to move staggering amount of data around without tethering. If you closely observe the reason for it being an outstanding unit, you’ll see a metal body with fins to keep the drive cool along with the perfection poured in designing. Although, you may have to spend some more bucks than you expect to own this piece of artwork. WD is a reliable name that is recalled every time you talk best portable hard drives. It is available in the ranges from 1TB to 4TB and you can buy from various online and offline markets. The biggest reason for WD to overcome other brands is its lightning data transfer speed and cloud storage feature. WD also provides your data with 256-AES encryption to maximize the security. If you’re looking for something with great capacity in economical range, Adata SD700 is for you. Adata SD700 is the only SSD device to obtain the IP68 rating. As it is an SSD, it doesn’t follow the rule of traditional external drives of spinning, which results in a higher data transfer speed. If you’re worried about storage, Adata SD 700 comes in a 1TB capacity despite being an SSD. When you don’t find anything lucrative that captures your sight in one go, the Buffalo has got something advanced within your budget. Not only it comes in a rugged case, which is water and dust resistant, but also provides you with NFC (Near Field Communication) feature too. With Buffalo MS Extreme, you don’t have attach or detach the USB 3.0 as its inbuilt with the device. Along with data protection, it allows you to unlock the drive to fetch your data by tapping the supplied NFC card onto the drive’s body. Sandisk is a well-known entity in data storage market, which gained its goodwill from SD cards for mobile phones and cameras. Extreme 500 is another great product from Sandisk that is both dust and water resistant. It stands among the cheapest yet best portable hard drives of 2019, which is available on Amazon as well as near your local market. Taking everything into account, you can make your decision based on your requirements and budget. Above devices are tested and reviewed on multiple parameters; however, the amount may expand with your requirement of storage.